You may have heard of the Traction Codex which was a small companion piece that Philip Reeve wrote with Jeremy Levett. 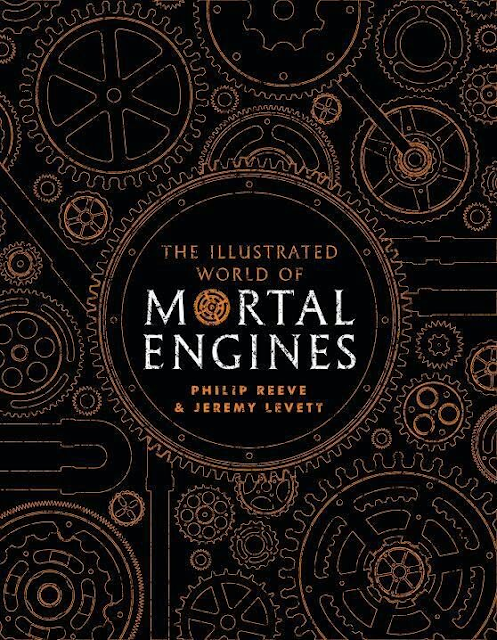 Given the Mortal Engines releases in December this year, Levett and Reeve have teamed up again to do a sort of revised codex, The Illustrated World of Mortal Engines. To help kick start the promotional work for the movie tie in, Levett as done a Reddit Ask Me Anything session on /r/MortalEngines. I’ve been a fan of Mortal Engines pretty much since the first one came out, and Mr Reeve and I became pen-friends when I was at university. 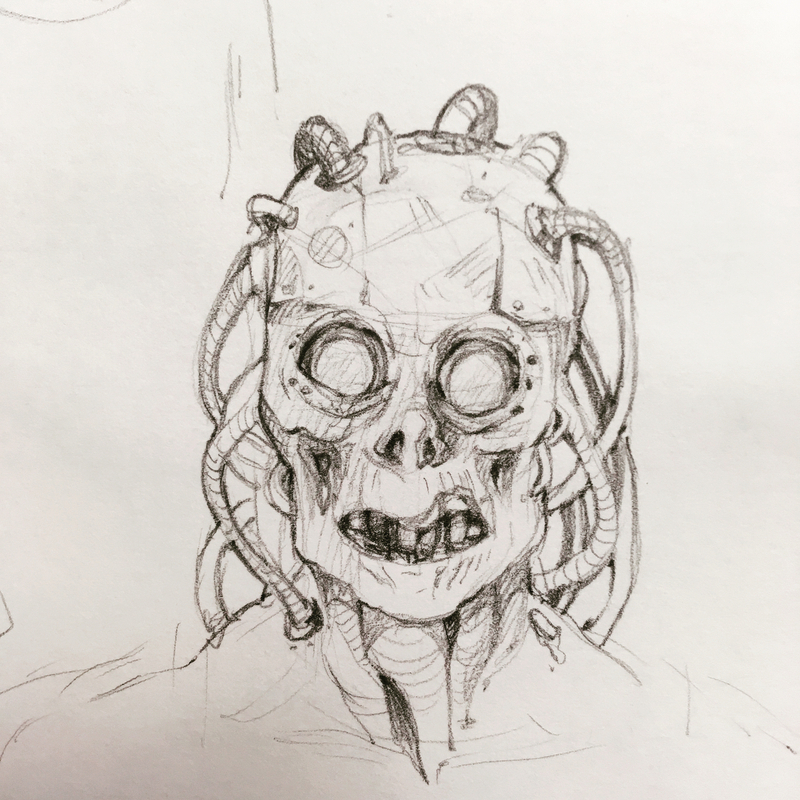 This was before the Reeve & McIntyre books or the Railhead series; the Fever Crumb books were rolling out and giving much more texture and history to the world, and Scholastic were relaunching Mortal Engines under the famous CG covers. They wanted an extra thing to go along with the books, and someone (I can't remember who the idea came from) hit on a sort of Fan’s Guide to Mortal Engines. Philip asked if I, being a historian, occasional writer and massive ME nerd, wanted to help, and so we co-wrote what became the original Traction Codex. Unfortunately, although a paper version was mooted and Philip did some lovely illustrations, it only ever ended up as an ebook (which you can find on Amazon for a trifling amount of money). 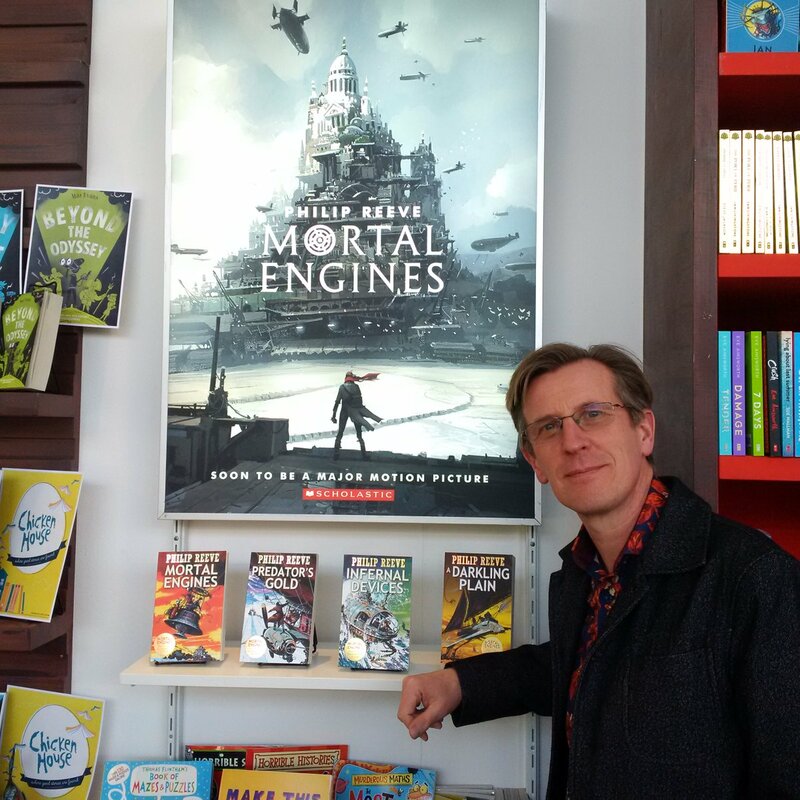 With the release of the film, Scholastic have decided to come back to the idea and commission an “Illustrated World of Mortal Engines”. It’s much bigger and longer than the original Codex and will be fully illustrated, and gave us a chance to explore huge areas of the world that were previously and answer all those questions that needed it. Here's some replies with some minor editing to improve reading flow as Reddit can go all over the place. With this new book, will there be historical titbits too? There will be a lot more history of what happened to the world after the 60 Minute War, and a little about what people in the Mortal Engines world think the Ancients might have been like, but remember that most historians are doing their best with pretty patchy scraps of information about a world full of deeply confusing fiction. Even the best ideas of the pre-60MW world are probably as accurate as this. The best in-universe source for what really happened during the 60 Minute War may be the Skrevenastuut pyramid in Scrivener's Moon. We often hear of large cities consuming smaller ones. Do cities of similar size square off against each other? And when they do, what happens? In these more rational modern days, cities of similar size will generally either roll up to each other to trade and have a chat, or simply politely ignore each other. Occasionally, you will see trading clusters of towns of various sizes meeting by truce rather than eating each other. As in real jousting, the stadtslanzen they use allow for hitting each other without a complete Pachycephalosaurus-style headlong smash. Generally, one pass is enough (unless the first is a real disappointment!) to determine a victor - after which the winning town might loot the loser, or accept a tribute, or simply be happy to add another victory marker to its heraldry and carry on. It is mentioned that the mountains of the moon lie near Zagwa, and by the time of the books presumably are on the borderlands between saharan city territory and static settlements & nations further south. Are the mountains of the moon new mountains & would it be accurate to say they form or are near the source of the nile? Because I'm just thinking; what with the Zagwan crusades north earlier in the traction era, the nile would've been a major possible logistics & power projection line north, and make the mobilisation of cairo a clear major blow. I think the Mountains of the Moon are quite near the source of the Nile, but with all that's happened since then it might not be the best way to get around. The Zagwan Empire at its height controlled almost all of North Africa, with well-built roads linking the interior to coastal towns and mines excavating crashed Slow Bombs in the Sahara for meteoric iron, so the Nile wouldn't have been an essential logistical link. If you're allowed to reveal it, what's your favourite part of the IWOME? If not, could you give us a vague and purposefully frustrating hint? Probably the single most fun part to write was the Australian cities and all the bizarre misshapen traction predators that have come into existence over there - bunyips, drop-boroughs, outback stationaries, Alice Springs with its turbo-pogos. But anything which involves a decent density of puns is high on my list. How are the cities powered? In Fever Crumb , Quirk is looking for Godshawk’s lab which has a prototype engine in it which I assume was adapted for use in London and other early cities, but what is this engine? I’ve always assumed that cities we’re steam driven given how in London’s mad dash east they were using up any expendable fuel to burn hence the trees in Hyde park (was it that park?) being cut down and the museums furniture being ransacked. There is the possibility the cities are petrol or diesel driven, given there are oil drilling towns in the arctic but that seems for the airships more than anything, could it be that the cities run on an entirely different set up to what we see as conventional? How does the timeline of the series lay out against where we are currently, does the Sixty minute war occur around the 2100s given the tech like Medusa, ODIN and the remembering machines all seem to advance for what we have now, furthermore how much time is spent between the war and the books is it around 1000 years or so? I think I read somewhere that the Traction Era lasted for around 1000 years yet the cities were only around for 200-300 of that ? The "Traction Era" refers to the overall period of motorised nomads trundling around the world, which led (il)logically to Traction Cities. London mobilises during the events of Scrivener's Moon in 480 TE, and Mortal Engines is set in 1007 TE. How long before Traction the 60 Minute War actually was is a source of very fierce debate among historians, not helped by the general lack of physical written records in the Screen Age. Mr Reeve once said he knew where Arlo was, what he was up to now etc. This is of course after the events in a Web of Air, and he didn't reappear in Scrivener's Moon. Any chance of letting us all know here what we would have read about Arlo, if he had reappeared? I can tell you he's worshipped as a minor god in Mayda-at-the-World's-End, and that his life (and career inventing fun flying things) didn't end with A Web of Air. But for more detail, you'll have to wait for Night Flights. There's a surprisingly a lot of detailed information in those responses, it's clear Levett sure knows a thing or fourteen about the world of Mortal Engines! 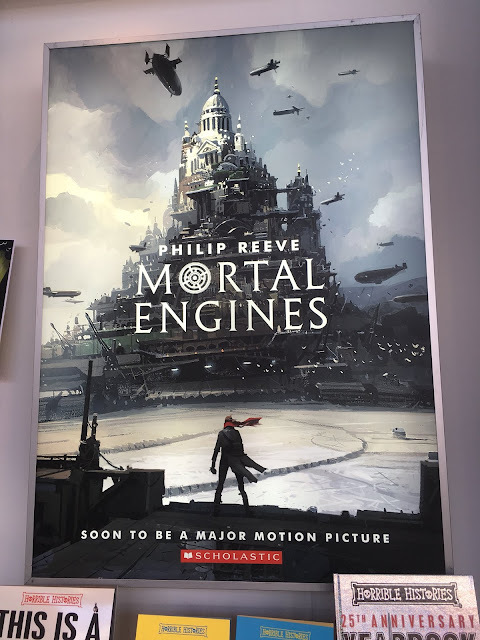 Given the Mortal Engines movie is coming to silver screens near everyone in December, it's quite natural for the book publisher Scholastic to take advantage of this window to promote Philip Reeve's book work. So far, we've had the announcement of Night Flights and Spanish versions of the original works and now the original book itself has got the royal treatment of a new cover from Ian McQue. The as yet unseen cover of Night Flights is also by McQue. If you've seen the movie trailer, you might recognize the cover as an image from that (or the book!) where our Hawty Heroine Hester Shaw is seeing the traction city of London for the first time. That scene itself is basically the start of the first Star Wars film. We imagine Reeve's is well please with this cover as he has remarked in the past his dissatisfaction with the covers of the American releases of his books. Don't get us started on how those books renamed Shrike to Grike! ↠ The Lions were in the original concept art the whole damn time! That object in the yellow circle is totally the back of a lion. 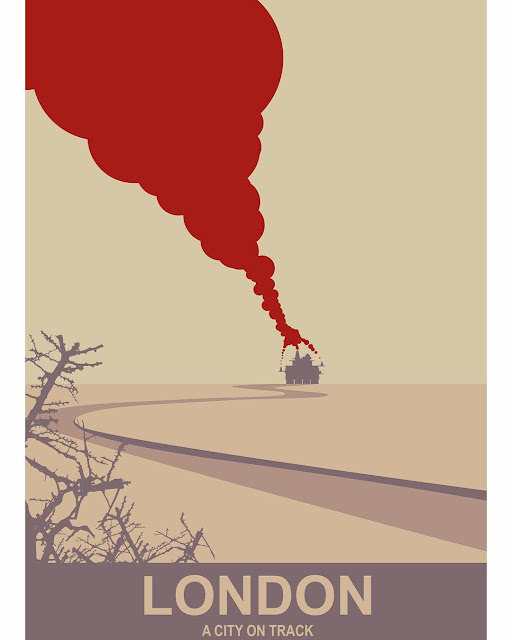 Found on Instagram - Mortal Engines graphic art picture designed Mabry Graphical inspired by Cornish artist Steve Read. They've also done a sweet Anna Fang!